2. (and maybe more forefront in our minds) How do we do it? Now, there is a danger crouching behind these questions, but I will deal with that in 3.2. So far we have seen that we have been given a Mission and such an imperative has the implied call to obey it. I suppose it isn’t too cliche to say that God doesn’t make suggestions. This should be delightfully obeyed, because it should find an immediate harmonious connection within our own desires, thus given us a very organic internal Motivation – namely, that we are Christians who love Jesus and we want others to love Him too. If you have trouble agreeing with the first two points in this paragraph and series, then you may not know Him, even likely so. If that is the case, go here. So, to answer the first question, we are to make disciples of Jesus Christ. This must never be eclipsed by men, fellowships, denominations, traditions nor religion. 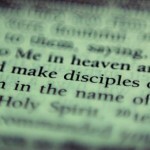 We DO NOT make disciples of ourselves. We DO NOT make disciples of (human) leaders. We DO NOT make disciples of our local fellowships (churches). We DO NOT make disciples of a denomination. We DO NOT make disciples of a particular school of thought. 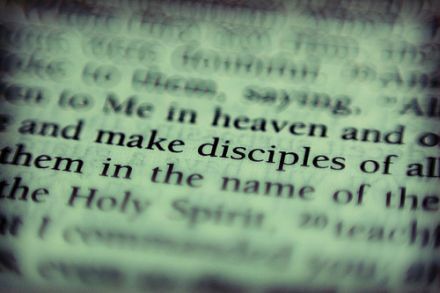 We DO NOT make disciples of Christianity. What if we were given one thing to do – just one main mission – and we didn’t do it? Now, this does not imply that this one thing is an all encompassing definition of our lives and all of the reality adjacent to our lives – but, it is the one thing – the main thing we are to do. I guess it would depend upon who gave us the mission and what was at stake . . . right? When reading Acts 14, specifically Acts 14:21-28, I see an interesting, rather arresting pattern. The text says that Paul “made many disciples . . . strengthened the souls of the disciples . . . and spent a long time (not a little time) with the disciples.” This is a profound narrative. Paul could have, according to some – should have, kept working “for the faith”, since all of these people were already converts. Yet, he spent precious time encouraging and building up the Church and he spent large amounts of that time. Why? Why would he do that? It has officially begun . . . The Church plant that is to take place this year, Lord willing, on the East side of Raleigh (likely the Knightdale area) has officially begun. Well, it had officially begun along time ago, but now we have filed. The name that is registered with the NC Secretary of State for the church plant is Sovereign Christ Church. We pray that even the name begins to communicate what we are about. We are called to make disciples of Jesus, our Sovereign Lord. He is the Head of the Church – no man. There is no pyramid-like hierarchy where one man presides over another. 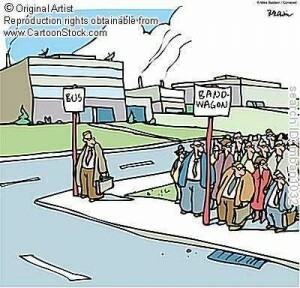 Rather, whereas some are further down the road of maturity, all are on the same path; all men and women in the fold of Christ are sheep – there is no division of class between leaders and laymen, no more than there is a division of class within the Trinity, since the images of roles, yet equality of the Triune Godhead are imprinted on the Church, as in the family; there is only One Good Shepherd, the rest are hirelings, who themselves depend on the Good Shepherd and will give account to. We are Christ’s, not our own. We are dependent on grace. We are unworthy, but chosen. We are seeking satisfaction in Christ, in God – not in ourselves. We are broken that this has begun. Might He be pleased in all we do, for it is unto Him that it is all done. Pray for us, pray with us and celebrate the sovereign majesty of our Lord – may He come soon. In the midst of it all, God’s love is more . . .
As some of us have been taking a hard look at life and the danger of wasting it, paradigm shiftd have ensued. What we must never forget is the deep, deep love of God. Please take the time to watch this sermon.